HOW I GOT THIS BOOK: I thank iRead Book Tours for this review copy. Never tell Mac Faraday not to do something. Spencer's police chief, David O'Callaghan, learns this lesson the hard way when he orders Mac Faraday to stay away from the south end of Spencer's mountaintop - even though he owns the property. It doesn't take long for Mac to find out what lies on the other side of the stone wall and locked gate, on which hangs a sign warning visitors to Keep Out! Topping the list of the 10 top haunted places in America, Astaire Castle is associated with two suicides, three mysterious disappearances, and four murders since it was built almost a century ago - and Mac Faraday owns it! In spite of David's warning, Mac can't resist unlocking the gate to see the castle that supposedly hasn't seen a living soul since his late mother had ordered it closed up after the double homicide and disappearance of Damian Wagner, a world-famous master of horror novels. 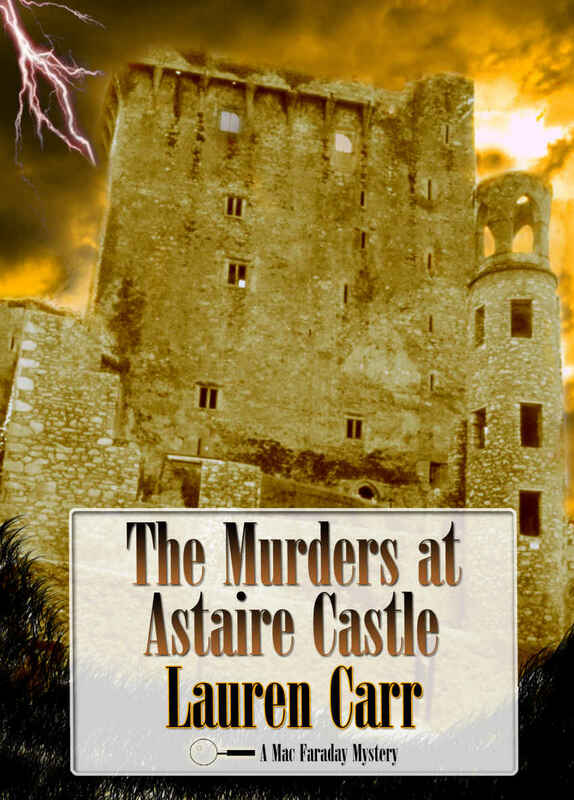 What starts out as a quick tour of a dusty old castle turns into another Mac Faraday adventure when Astaire Castle becomes the scene of even more murders. Mac is going to need to put all of his investigative talents to work to sort out this case that involves the strangest characters he has run into yet - including a wolf man. No, we're not talking about Gnarly. When you have read a few books from a series, no matter what order they were in, some familiar things comfort you. The Mac Faraday mysteries have grown on me that way, and the chance to read yet another book was very welcome. The cover, of the shade of Halloween, immediately spoke of the spooky twist and the summary intrigued me. The last line was the LOL moment, classic Carr style of introducing humor where least expected. I began the book with the author's note and completely agreed with her viewpoint of a Halloween special twist to what is quickly becoming one of my favorite set of books. This Mac Faraday thriller is the same - with a slightly spooky twist that is not enough to classify a mystery / crime novel to the paranormal genre. Reading the character list, though, brought me back to the old familiarity, as if I am preparing to read yet another story about someone I knew. Convincing a skeptic to believe in the paranormal is hard. Mac Faraday has inherited a castle that is spooky, mostly because of the unexplained things surrounding it. Fear of the unknown and rumor that spread like fire make Astaire Castle a boarded up, forbidden place. Once home to a strange disappearance, Astaire Castle is now home to yet another mystery - a novelist who wanted the peace and quiet of the secluded place to finish his novel has disappeared with his work in progress. Right when Mac knows about the castle while on another case, the corpse of the novelist turns up, with strange rumors abound. The multiple strange incidents giving the place a bad name, it is finally boarded up until Mac Faraday hears of it. Of a naturally inquisitive mind, he is stubborn about knowing the secrets the place holds. What worked for me in the book, despite the jumpy narrative at places, was the plot. The change of flavour did me good (though I am not yet sure if it was one of the reasons why I could not connect with this book like usual). The Halloween twist to the story and the inclusion of new characters made the story all the more interesting. Molly stole my heart like Gnarly did, and the language was comfortable to read. The story that began creepily enough thankfully retained the interest it created through and through. Overall, a satisfying, but slightly different, experience of having read a Mac Faraday book. The writing style showed significant change, not flowing smoothly like it usually did. Lauren Carr is the international best-selling author of the Mac Faraday, Lovers in Crime, and Thorny Rose Mysteries. The twelfth installment in the Mac Faraday Mystery series, Candidate for Murder will be released June 2016. Lauren is a popular speaker who has made appearances at schools, youth groups, and on author panels at conventions. 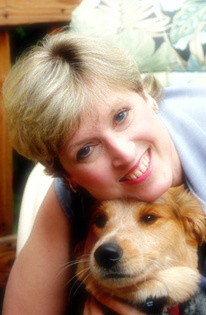 She lives with her husband, son, and four dogs (including the real Gnarly) on a mountain in Harpers Ferry, WV. Anyone who tries ballroom dancing quickly learns how expensive it can be. From private lessons to competition fees, the monetary cost of being a ballroom student can quickly skyrocket. In my experience, the high cost is the most frequently cited reason for quitting dance. It shouldn’t be that way! I live paycheck to paycheck, carry credit card debt, and still dance and compete in pro-am ballroom. In my first two years as a pro-am competitive ballroom dancer, I entered five competitions, had the money reserved for two additional events, and, at the same time, reduced my credit card debt by almost 50%! I wrote this second book in my Dance Diaries series out of a desire to help my fellow struggling dancers do the same thing. From budgeting basics to specific tips on how to save on ballroom dancing, in Ballroom Budgeting, I share exactly how I dance and compete in ballroom while living paycheck to paycheck AND reducing debt! I even provide the tools I use to help you start organizing your own ballroom budget right away! Stop stressing over the cost and focus on what is important – the dancing! I had the first book in the series, Learning Ballroom dance, with very less idea of what ballroom dance was. But as I read and really liked the neat, efficient presentation of the first book, I picked this book up with the idea that it will also talk about everything mentioned in the summary in a way even rookies could understand. The cover picture, cleverly placing the glittering shoe with the money, impressed me very much. The book began as a guide for ballroom budgeting, with the ultimate goal being - practicing ballroom with consistency and lessening the strain on the overall family budget. I began reading with interest because the book spoke of following the dream of ballroom dancing despite the expenses biting into the budget. This can happen only with the proper passion and planning. Ballroom dancing is not the only hobby that fell victim to the major deterrrent called 'lack of funds'. 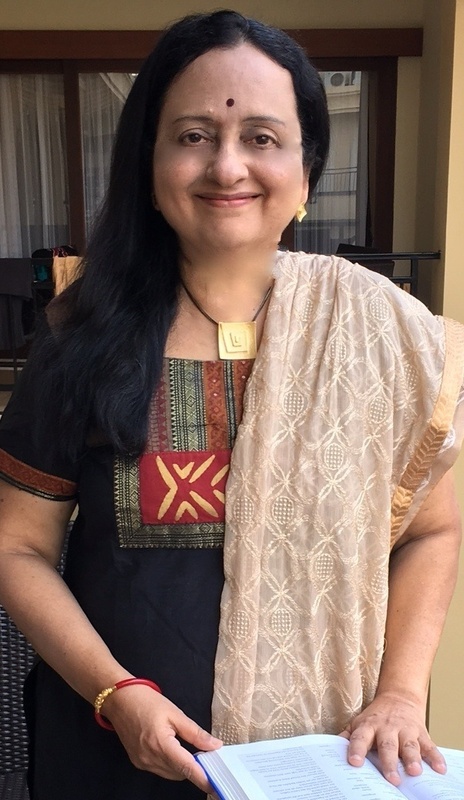 The author has chosen a right theme for her second book and it is clear that the experience is speaking through every written word. Ballroom dancing can be expensive, and if one decides to follow that hobby they must be ready to manage their income and other expenses such that they make way for this one. All budgeting necessities arise because of clashes in the income and expenses, with the expenses exceeding income. Adjustments are quickly made, and unnecessary spending is cut down, and ways to increase income are searched for. Dance Diaries #2 tells you why it is essential to ensure that ballroom dancing does NOT become one of the cut off expenses. The concept of the book is simple. If you really enjoy ballroom dancing, and want to do it with you full heart, you need to budget accordingly because ballroom dancing is expensive, both in coaching and the competitions (which have high entry fees, but without which ballroom dancing does not have much of a point). The book is generic enough to be considered a general guide on budgeting. The fact that it focuses on the inclusion of ballroom dancing as a necessary part of the budget is why this is directed at it. The author has clearly given good ideas for both cutting down on the expenses, and other ways to increase income. While the book is not essentially a perfect guide to ballroom budgeting, it still is a good budget guide material. The book works due to its presentation style, but there really is not anything revolutionary and new in the book that you didn't already know. Ballroom dancing is expensive and if you are interested enough in it to make the expense, find out other avenues where you can cut down on expenses and increase your income by some method - but don't give up on ballrom dancing because of lack of money. If you want to read a book on budgeting, this book might be the beginner's course. Nothing exciting or novel, still a treasure trove of information that breaks down all expenses related to ballroom dancing. The book is a budgeting guide that includes ballroom dancing in the 'important expenses that cannot be avoided column'. I have always been a fan of books based on mythology, and with the modern spate of books that have been written in this genre, have read and been impressed with a very few books. Usha Narayanan's earlier book, Pradyumna - Son of Krishna was in my wishlist for long and I read and thoroughly enjoyed the book. So naturally the expectation was high for the sequel. 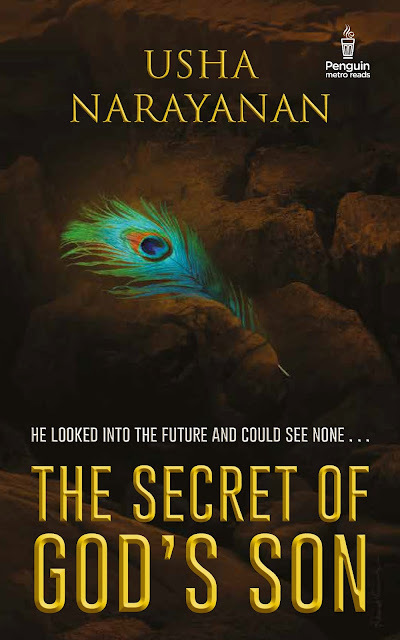 When an opportunity to read and review 'The Secret of God's Son' came my way, I took it up with some amount of excitement. The summary that began with a chilling curse by a pained Queen Gandhari immediately held my attention. The Mahabharatha was the epic war that signified the end of Dwapara Yuga and the onset of the Kali Yuga - the most abominable of the Yugas, where humanity reached its nadir. And the angry Queen's curse was one of the first things that set this off. The premise that one mortal would have to reverse the most powerful of curses and save humanity made me look forward to the story. While the Mahabaratha itself is a very popular story, it culminates mainly with the war and the immediate coronation of the pandavas to lord a city of derelict people. Little is said about the aftermath, as if the storytellers were also exhausted by the war and the carnage. So when a story talks about the time after the main event, it is naturally interesting, an area that was not explored much. This is one of the contributing factors for 'The Secret of God's Son' maintaining the tempo, in addition to it being a well written, carefully researched book. The book focuses (obviously) on one of the side stories of the original epic, answering the question of what happened to Krishna and the Yadu clan. This will interest both sets of people - the ones who have no idea about it, and the ones who know the popular version of the story. While most of us have been brought up to believe in destiny being the reason for everything we face in life, we cannot deny that it is also one of the most complicated concepts ever. We have all grown accustomed to living by our destinies, a vicious cycle only a very few dare to step out of. What would happen if we were to fight against it? what would happen if we decide to change what is written in air, and not on stone? The Secret of God's Son works well because it speaks of even extraordinary things in a way every reader could understand. Starting with the perfectly normal portrayal of gods, supreme beings and divine creatures, and daring to show their weaker sides, the book is one completely exhilarating read. To be able to write a book that invokes all the necessary emotions at all times - be it sadness or thrills or a deep poignant love - just by words is not an easy task. Most of the times, while I read the book, I felt like I was reading a completely new story, and a other times, I felt like I was reading a story I knew very well. The author has managed to strike the perfect balance between what is popularly known and what might have not been that widely known or acknowledged. The lilting power of the words actually served to become the replacement for backgroud music while the vivid visuals played in my head. The book shall gain the appreciation of many merely by the power of writing, and of course, the story it conveys. The title itself is an ambiguous one. Was the secret about the God's Son, or was it something he had? But the story that is developed around the short and scintillating summary answers most questions. Of course I still wish some parts of it were better, but have no overall or lasting complaints. The complaints are actually laments of someone who finds a well written book too short. The Secret of God's Son is a brilliant read - if you have an open mind and are a fan of mythology who will appreciate the finer aspects of the story and the subtle undercurrents in the various twists and turns. The writing style is gripping. It was enough to completely hold my attention. Go for this! One of the best out there. I don't really know much about Ballroom dancing but was very interested to learn more details about it. The book was short, and could be read at a single sitting. The summary offered a glimpse into the style of writing and made me interested enough to pick this up immediately. Most of a book's success depends on the way it is presented. In fiction, a good plot can go down with lacklustre story development, whereas even a ordinary plot can be made extraordinary by good presentation. Things are even more dicey in non fiction, where the author has to be careful not to create a detail overload and still give enough to keep the reader occupied. The book itself is well presented, and covers all the essentials about Ballroom dancing in the earlier stages. I liked the clean, detailed format of the book, and the seuquencing of events. 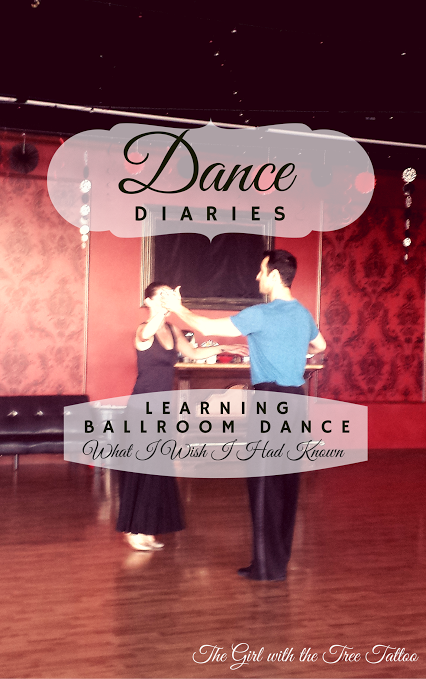 Dance Diaries #1 is neatly written - covering the main points in Ballroom dancing with a clean style. More than the writing, it is the content that held my attention. It was something that both learned ballroom dancers and rookies would benefit from. The book can make you decide if Ballroom dancing is for you, and tell you the pros and cons of choosing it. Once you do decide to take the plunge, it will tell you which type of instructor or package might suit you. What I liked the most about it was, it does not advise on any one particular style. It just details the pros and cons of both, leaving the reader to make the choice on their own. Various hints thrown in about how instructors and other dancers might become friends and how it might benefit or affect practice, and the smashing beginning about why exactly ballroom dancing is a good idea are the highlights of this book. Most importantly, the author's passion for the craft shows in every word, and she does not glorify dancing. She just talks about Ballroom dancing and how it became a part of her life. This book is a treasure trove for anyone who wants to know about Ballroom dancing - be it someone completely new, or someone who has had a bad experience with it. This time you can approach ballroom dancing armed with the information. The book changed my perspective about ballroom dancing and I loved it, would surely look forward to reading the next book. Whether or not you have prior experience with ballroom dancing, this book will give you all the basic information you need about it.